Rides in ReVellion - 4th Single "リインカーネーション〜F.A.T.E./Rusty Nail〜 (Reincarnation〜F.A.T.E./Rusty Nail〜)" | VKH Press – J-Rock & Visual Kei Coverage Worldwide! 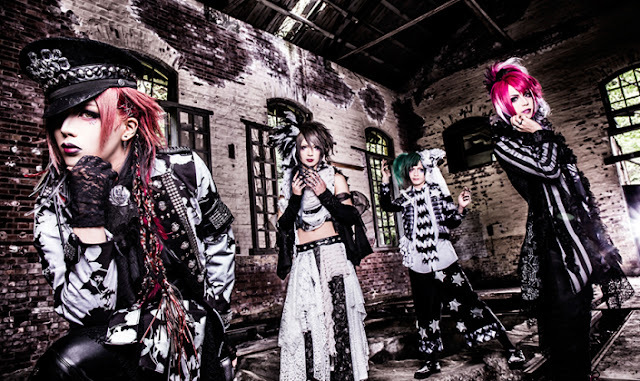 Home / News / Rides In ReVellion / videos / Rides in ReVellion - 4th Single "リインカーネーション〜F.A.T.E./Rusty Nail〜 (Reincarnation〜F.A.T.E./Rusty Nail〜)"
Rides in ReVellion - 4th Single "リインカーネーション〜F.A.T.E./Rusty Nail〜 (Reincarnation〜F.A.T.E./Rusty Nail〜)"
Rides in ReVellion 4th single "リインカーネーション〜F.A.T.E./Rusty Nail〜 (Reincarnation〜F.A.T.E./Rusty Nail〜)" will be released on December 28th in two types. Limited Edition will contain CD +DVD featuring the MV for "F.A.T.E.". Regular Edition will be CD only. Below is a preview of their Rusty Nail (X Japan) cover.